Skiing area. 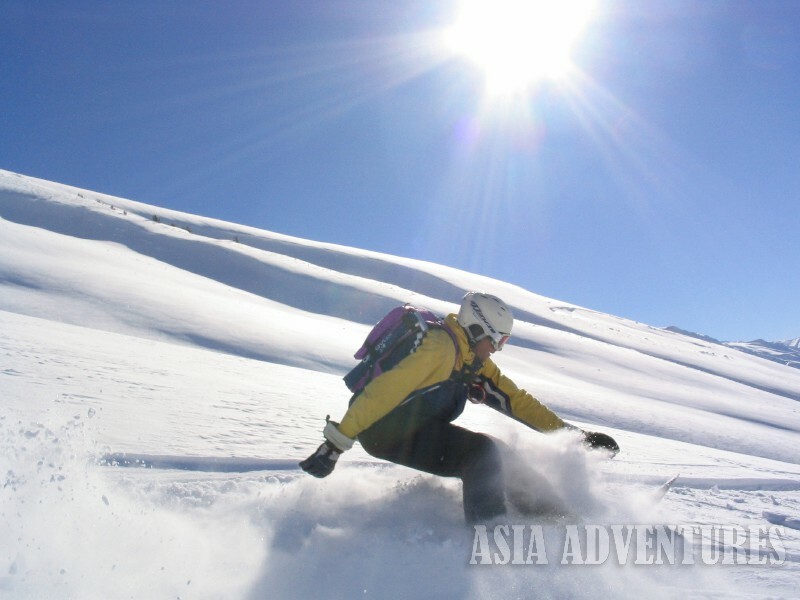 Skiing/snowboarding is offered in the region of Western Tien-Shan (Ugam, Pskem and Chatkal Ranges) just 100 – 150 km from Tashkent - the capital of Uzbekistan at the altitude from 2,500 m to 4,200 m above the sea level. Amplitude drop for downhill is up to 2 km and the downhills are as long as up to 10 km. 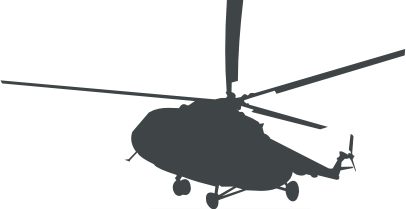 Mountains of Uzbekistan and technical possibilities of helicopter allow to accomplish descends from summits, ridges, passes. 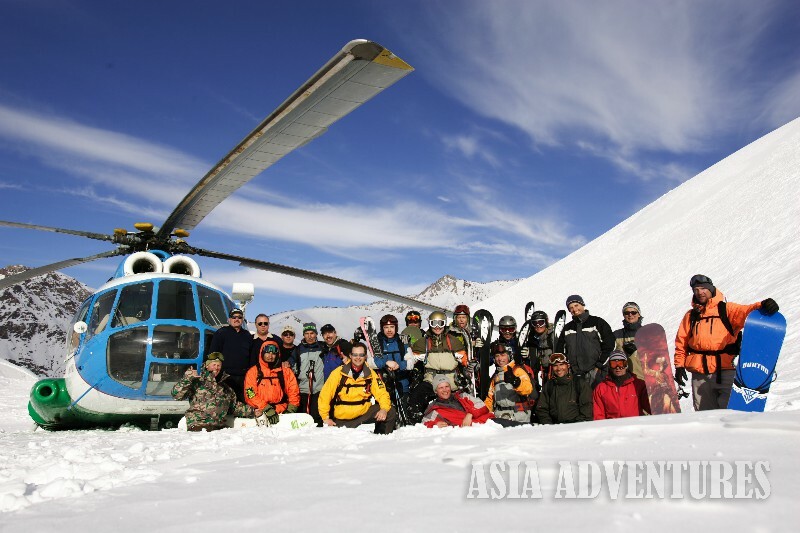 Skiing/heliboarding is run along the slopes of different steep, extreme skiing/heliboarding is also possible. 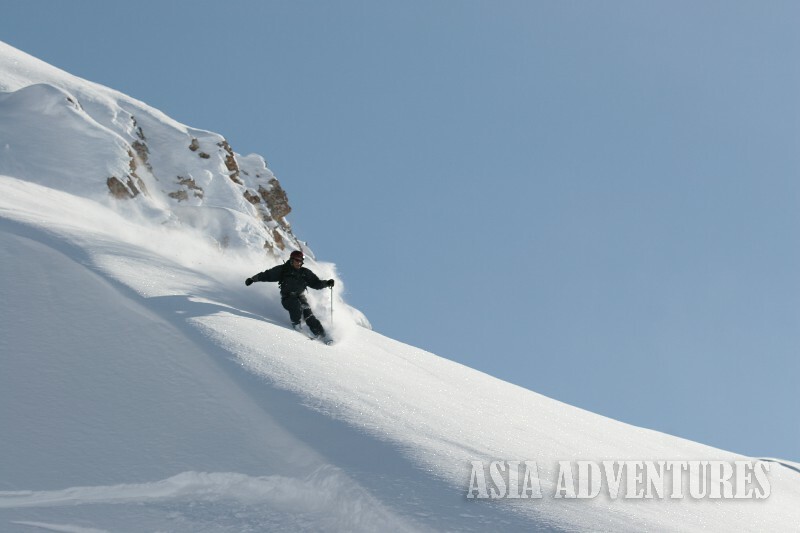 Skiers/heliboarders are waited for vast snow fields, wide gullies. There are also timberlands (archa-covered slopes), natural ski jumps, rocks allowing to accomplish jumps. 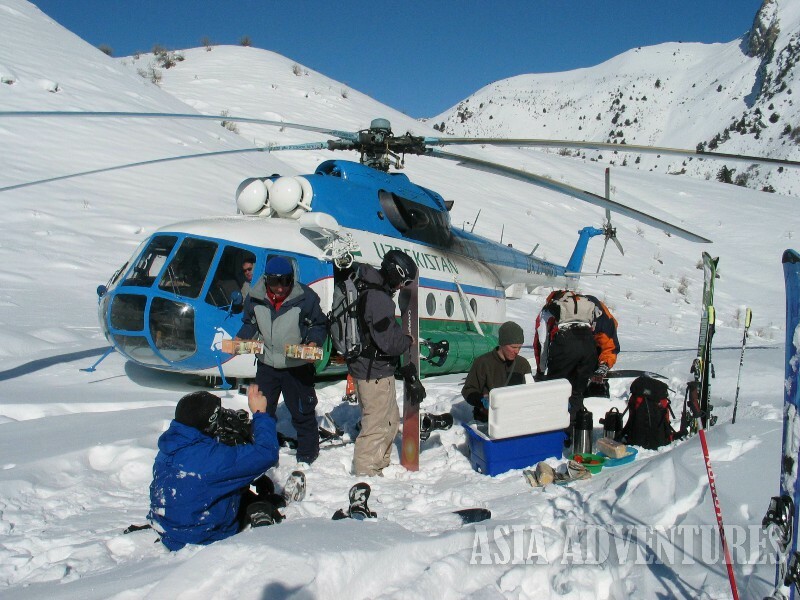 Each heliskier and heliboarder will find for themselves the slopes according to their taste. Snow conditions allow for skiing/heliboarding within the period from the second half of January to middle of April. 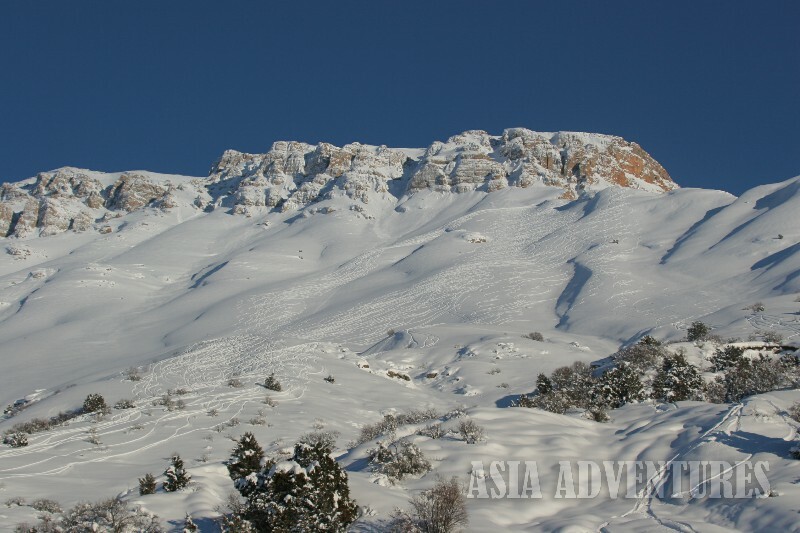 Usually, slopes accumulate up to 1,5m - 2 m of snow at the beginning of ski season. Snow is fresh, soft and powder-like everywhere. 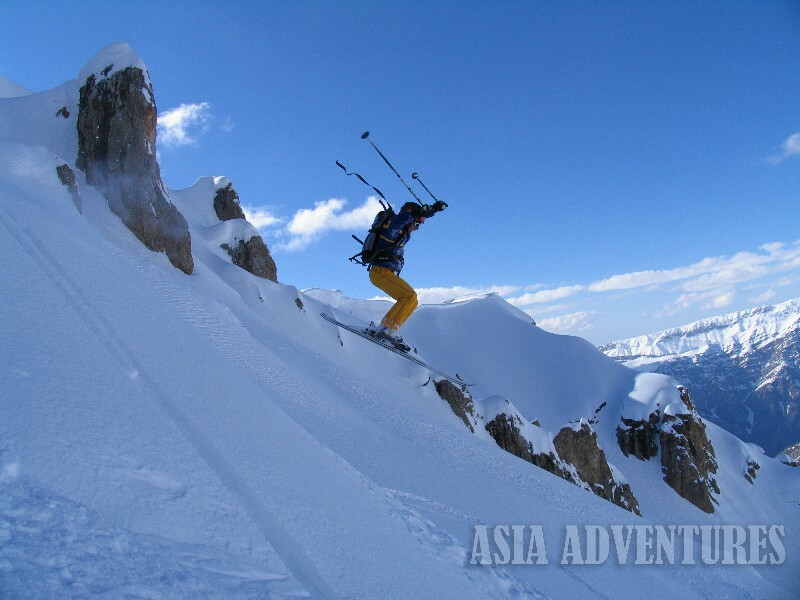 Middle of March and April are characterized by spring-like snow, but still on some slopes soft and powder snow even at that time can be enjoyed. Air temperatures vary depending on ski zones and seasons: from - 10oC to -3oC.